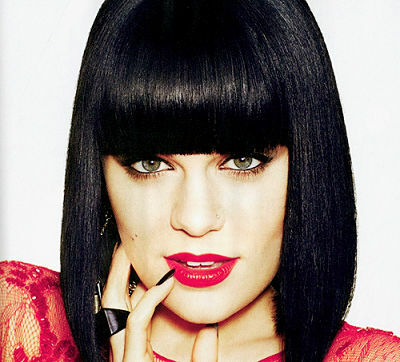 Booking Jessie J will cause a storm at your special event! We are a booking agent for Jessie J, and can arrange for her to perform for your guests. Jessie J broke into the music industry first by songwriting for greatly successful artists such as Miley Cyrus and Chris Brown. Miley Cyrus`s hit, Party in the U.S.A. was the largest success among the songs she helped write. After showcasing for a medley of major labels, Jessie J finally landed a major label deal and released her six years in the making album in 2010. The single ‘Do It Like A Dude’ grabbed the number two spot on the UK charts, with Jessie J’s second single ‘Price Tag’ topping the charts at number one. Topping out at number 23 on the Billboard Hot 100, Price Tag became the 22nd most viewed music video online. The album Who You Are reached number two on United Kingdom charts and the 11 spot in the US. At the 2012 Brit Awards, Jessie J received two Brit Award nominations for Best British Female Artist, and Best British Single for her song ‘Price Tag’. Later in the year Jessie J’s collaboration with David Guetta on the song ‘Laserlight’ entered the charts and climbed up over the following week to reach number five and make it her sixth top ten single from one album. With all the charting success, she became the first UK female solo artist to achieve six top-ten singles from a single studio album. In 2014 Jessie J released her third studio album ‘Sweet Talker’ which peaked in the charts at number five. One of her hit singles from the album was ‘Bang Bang’ a collaboration with Ariana Grande and Nicki Minaj which reached number one in the UK charts and debuted in the US Billboard Charts at number six. Additionally in the year 2015 she became judge and mentor on The Voice Australia. More recently Jessie J released a new single called ‘Real Deal’ in August 2017, and soon after announced that her next album was R.O.S.E, this was released in September. Contraband is the UK’s top booking agent, with friendly, qualified account managers who guarantee you the best deal possible. Contact us today if you would like to book Jessie J to be the headline of your event! As your booking agent we are more than happy to help you create the most memorable moments with Jessie J.